If you are a business owner, you have certainly heard of Zimbra. Or, if you are just an end-user, you might have heard of this application as well. Zimbra is an open-source email software that perfectly meets both, corporate and personal needs. If you a business owner, most likely you are using Zimbra Collaboration Server (ZCS - an email and calendar server that also allows has file sharing, tasks, contacts, social media, document management and simplified administrative controls. If you are an end-user, then, chances are you have Zimbra Desktop installed. 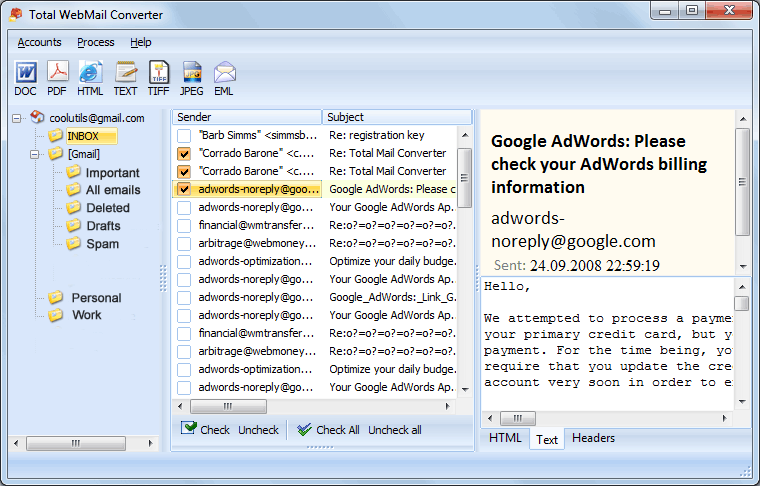 This is a downloadable application for Windows, Mac and Linux computers that lets you read any email account. However, if one day you feel that your Zimbra emails should be backed up, we suggest you use Zimbra email converter. 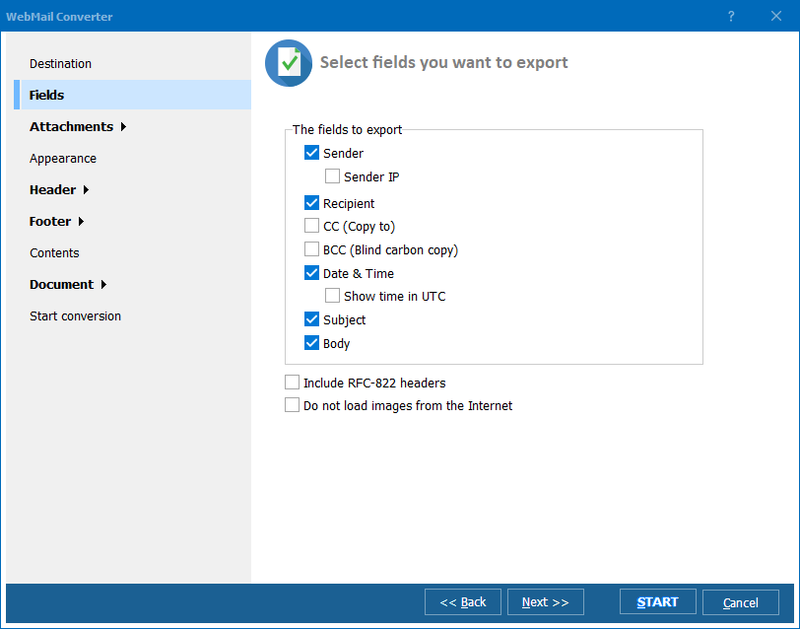 This is a special tool designed to export Zimbra emails to HTML and other formats. 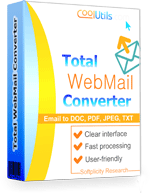 We suggest you try Total Webmail Converter by CoolUtils. This program has been developed specifically for conversion of web-based e-mails to various formats, including HTML, PDF, TIFF, DOC, TXT and JPEG. The tool supports Zimbra, Gmail, Yahoo, Windows Live and other email services. The program is very easy to use. All you have to do to integrate it with your email account is to enter its name! 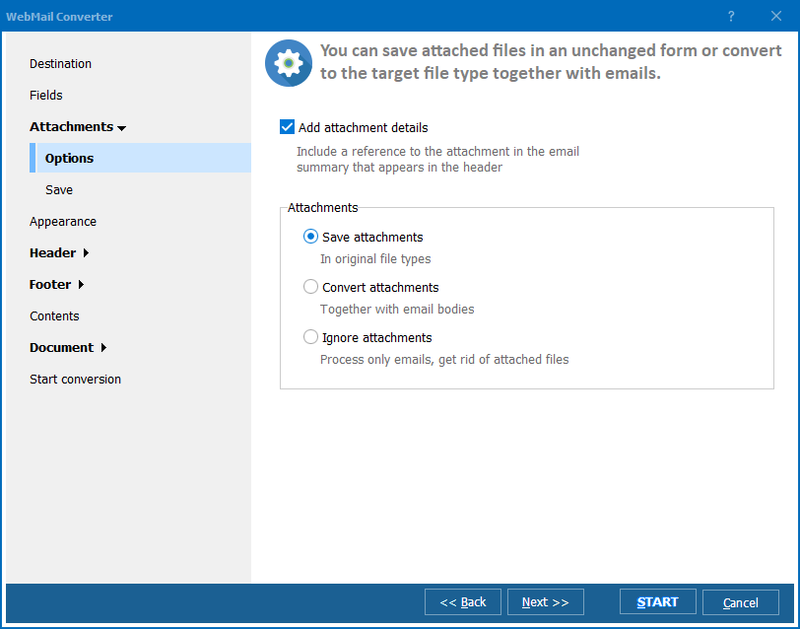 The program gets emails directly from a POP3 account and converts them to the format specified by you. The program is multifunctional. You can process files from different email services and have them converted into different formats. Also, this tool allows you to add headers and footers to the output file.